Black Angel(1xgl) proved to be a dog with great heart. He lost his first match in 1h.5 min . He was picked up and payed his courtesy scratch. 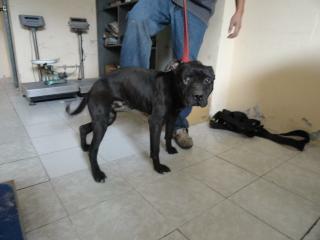 This Dog is ALL game and is a littermate to MB\\\'s BUFEO aka Yankee (2xw) otc and MB\\\'s Salvatrucha 187.